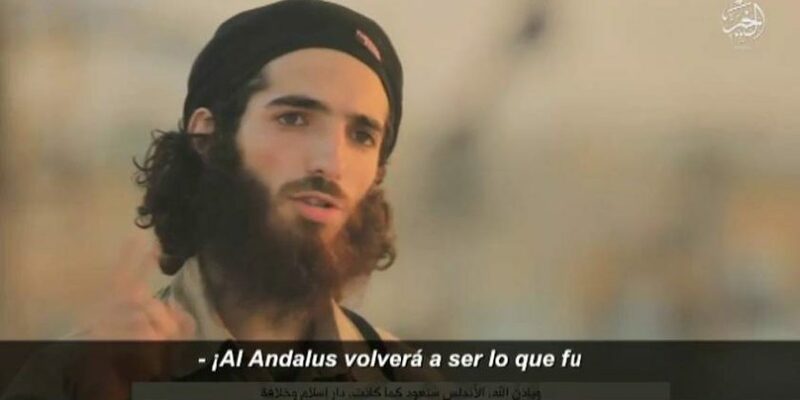 In a video, two ISIS fighters are heard speaking in Spanish warned there would be more terrorist attacks in the Iberian peninsula. Al-Andalus was the name given to the Iberian peninsula when it was occupied by Muslims during five centuries until their expulsion in 1492 after the victory by King Ferdinand and Queen Isabella. “Allah willing, Al Andalus will become once again what it was, part of the caliphate. (…) If you can’t make the hegira (journey or exodus) to the Islamic State, carry out jihad where you are; jihad doesn’t have borders. “Spanish Christians: don’t forget the Muslim blood spilled during the Spanish inquisition. We will take revenge for your massacre, the one you are carrying out now against the Islamic State,” said one of the two man whose face is uncovered and who is identified by a video title as Abu Lais Al Qurdubi, or Abu Lais “of Cordoba,” the southern Spanish city that was the capital of Al Andalus.